Download the music associated from the template you like! On each templates's product page, you'll be able to find a description of and link to the music file that comes featured with the template. This music file will need to be purchased separately from the template and you will need one available credit to download it. 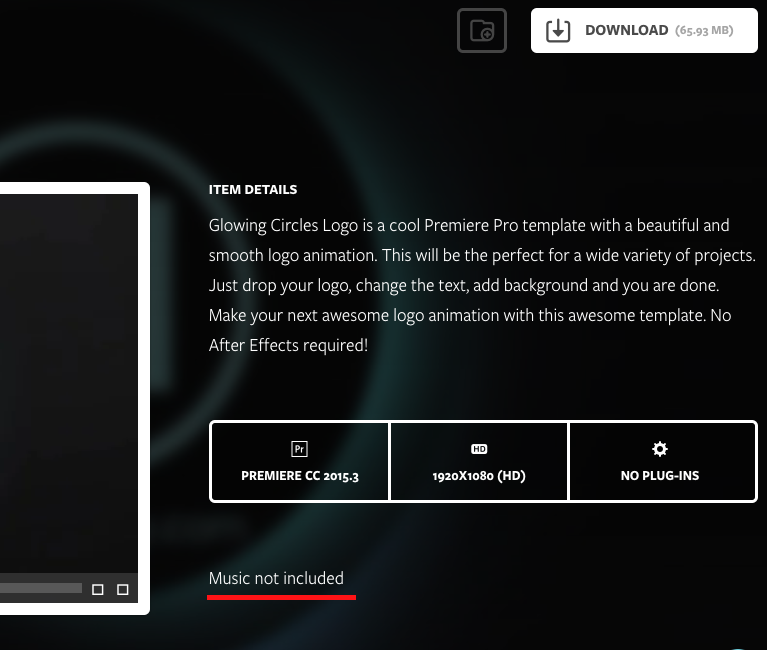 A link to the music file can be found of the template's product page under Item Details. By click on the music file's name, you'll be taken to it's own product page where you'll be able to download it. Please note that the music file's name will be listed ONLY if it's available for download from our library. 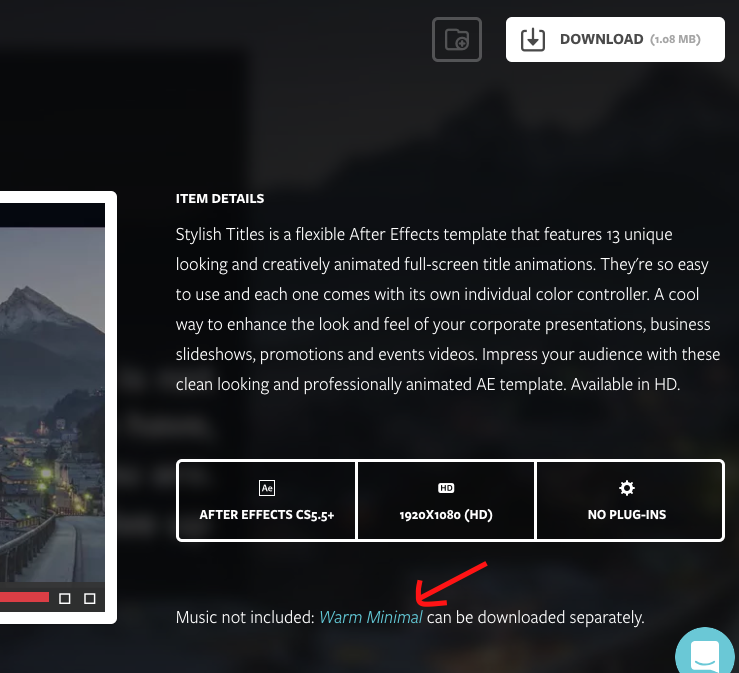 If the music displayed on the preview video is not available in our library, this will be stated as well.